. Since it has developed into a chocolate sweet. During the appetitive, all sorts of fresh fruit boiled and sweetened with sugar and honey were also served. 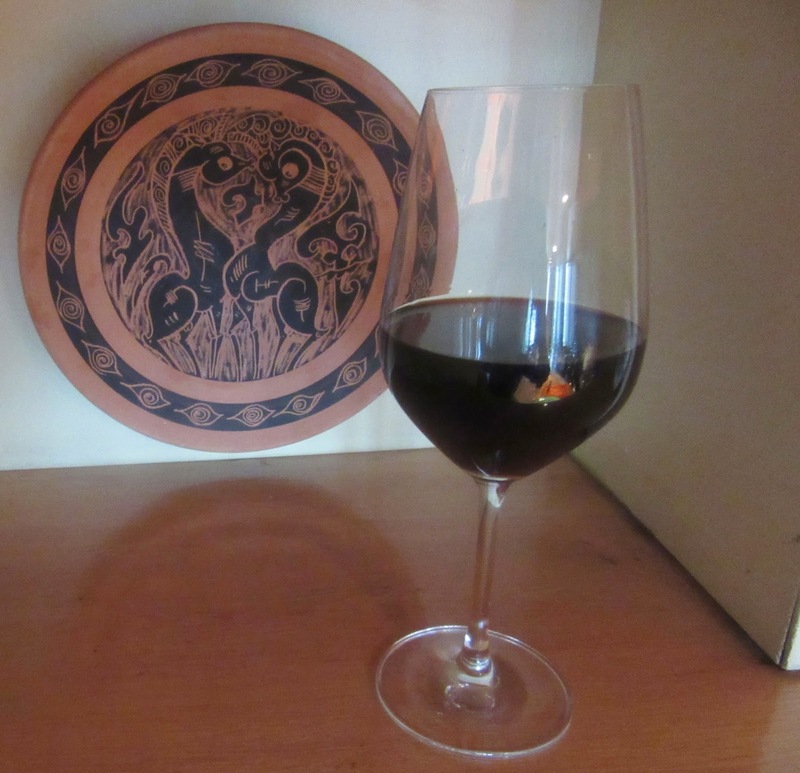 The type of wine consumed depended on where members of the royal family were staying as in the case of garnacha (spicy wine), brought from Paris by the servants of the Countess Inés de Foix (+1397) or Greek wine, which was frequently consumed when the monarchs were in the province of Aragon. 2. gown, long robe with sleeves falling in folds from the neck over the shoulders and down the back, judges’ robe, (pl.) gentlemen of the robe. 3. men’s hair do, ring of hair shaved off in the center and long hair falling in rings down the back. In the olden days, men from the Maragato in Leon and others living around Astorga had their hair cut in this fashion. It is reminiscent of the Goth’s hairdo. Put the milk and sugar in a pan and heat until the sugar dissolves. Add yeast, half the flour and salt. Knead all together while slowing incorporated the rest of the flour. Knead 15-20 minutes until smooth. Rub a mold (12”x4 ½”x2 ¾” with butter and sprinkle it with flour. Put the dough in it. It should be half full. Let the dough sit until double in volumne. Bake about 30 minutes until done. Let the mold sit on for 10 minutes and then remove the bread from the mold and set on a screen to cool and let it sit overnight. Slice bread making ½” thick slices (about 14 pieces) and set aside. Put milk in a saucepan with the sugar, lemon zest and cinnamon. Heat until sugar is dissolved. Set aside letting it cool. 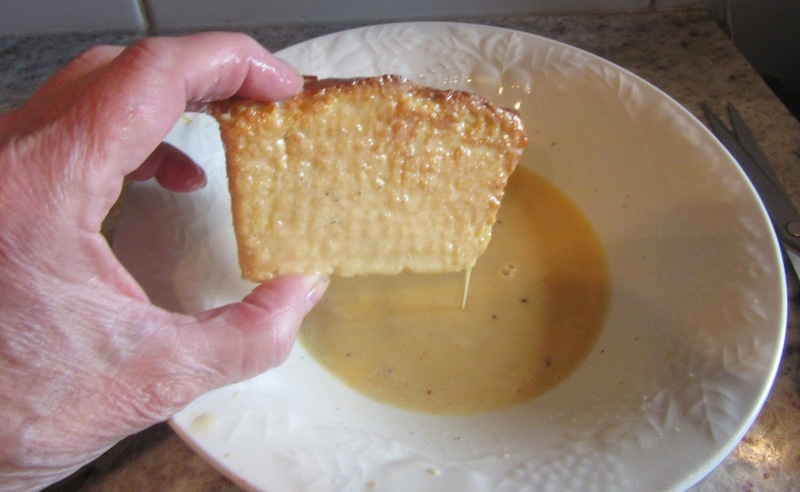 Dip the slices of bread into the milk covering both sides. Then dip each slice into a slightly beaten egg. Heat a frying pan and add the olive oil. When hot fry the slices of bread until golden brown. Remove from heat and sprinkle with a mixture of sugar and cinnamon. This is a typical dish made during Holy Week in Spain. As today’s garnacha recipes New World products, it appears that the original recipe has disappeared. 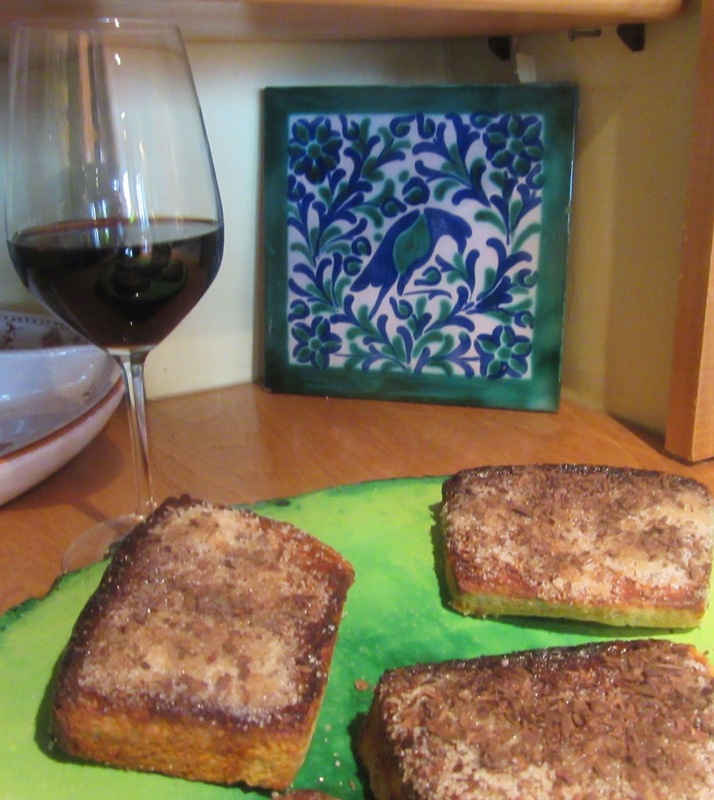 As torrijas were documented from the beginning of the 14th Century in Spain the following recipe is provided, which is very tasty with garnacha wine.